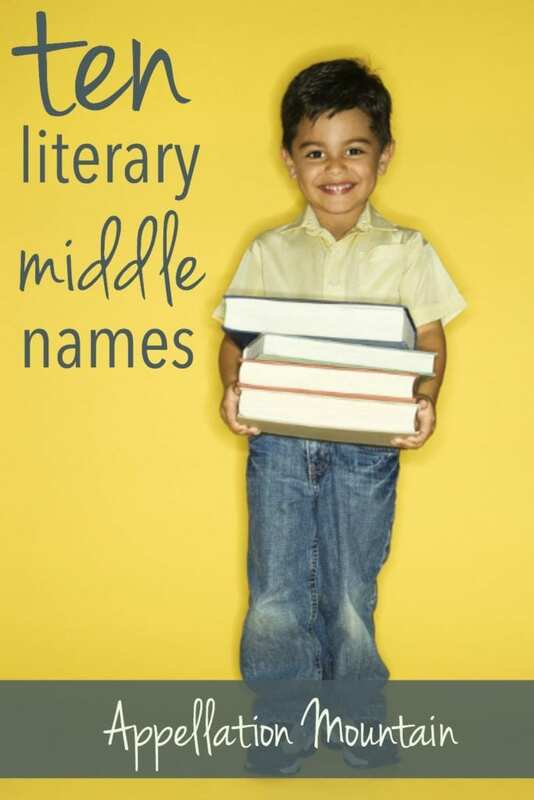 Literary middle names can celebrate a love of reading, recognize a favorite author, or just make a distinctive, different choice from the usual James and Elizabeth. Plenty of literary word names come to mind, of course, like Story and Novella. These ten authors’ surnames could make great literary middle names, too. 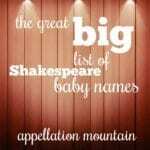 From short and sweet to long and elaborate, they’re instantly familiar as literary names. Some seem more feminine, while others lean to the masculine side. But I think all ten work for sons and daughters alike. The main rule? 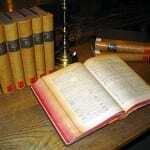 Most of us will recognize these as references to famous writers – without needing to be told. 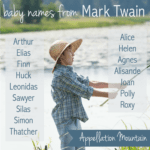 And, of course, reasons abound for choosing a big, bold middle name for your child. 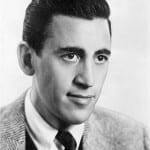 Read on for ten of the best literary middle names borrowed from famous writers. Austen – Austin started out as a contracted form of Augustine, bolstered by Texas history. But it makes this list with a slightly different spelling, and for a very different reason. Austen refers to Jane, she of Pride and Prejudice, Emma, and Sense and Sensibility. With Emma standing as the #1 name in the US in recent years, why not Austen? Bronte – We like middle names with the accent on the second syllable – think of Marie and Renee. Bronte almost fits that pattern, though it’s often pronounced more like Esme. Still, that vowel ending helps Bronte work well in many combinations, and the sisters Bronte certainly merit a mention on this list. Sarah Bronte Gordon strikes me as far more interesting than Sarah Marie Gordon. Hawthorne – Hawthorne almost sounds like a nature name, which would make this an on-trend pick. But that ‘e’ signals the name leans literary, as in Nathaniel. Like several others on the list, Hawthorne celebrates a great American author, one who wrote mostly about life in New England. I’m less certain if his works are as widely read elsewhere in the English-speaking world. Still, on style alone, Hawthorne makes an intriguing middle. Hemingway – Ernest Hemingway remains larger than life, more than half a century following his death. The last name’s meaning and origins are obscure, but nearly everyone knows the image associated with this name. The journalist turned Pulitzer Prize winner is remembered as a bold adventurer and a literary giant, too. Huxley – Dystopian novel Brave New World remains widely read today, though perhaps Aldous Huxley is less of a household name than some on this list. It makes the literary middle names round-up partially because it sounds like a stand-out, on-trend choice. In fact, despite seldom used before the twenty-first century, Huxley debuted in the US Top 1000 in 2015. Poe – Poe carries two associations in 2017. 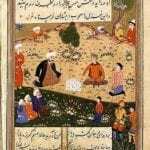 First, it brings to mind the dark writings of Edgar Allan Poe, the widely influential master of the short story. Besides Edgar, though, there’s fighter pilot Poe Dameron, a new addition to the Star Wars universe, as of Star Wars: The Force Awakens. Since we expect to see more of the character soon, this name could succeed as both a romantic nineteenth century literary name, and a silver screen-inspired heroic choice, too. Tennessee – Tennessee breaks the rules, because it’s not a surname at all. Instead, Tennessee Williams started out life as the far more ordinary Thomas. The name was used in small numbers for girls in the late nineteenth century; lately, it’s trending for boys. Like Poe, Tennessee benefits from a double identity. In this case, the name feels literary, but also borrowed from the map. Either way, Tennessee makes an intriguing choice for a Southerner. Tennyson – Poet Alfred, Lord Tennyson served as Poet Laureate to Queen Victoria, and remains widely read and known all these years later. The surname originally comes from the given name Dennis, but that’s little-known today. Instead, Tennyson sounds like a name for parents who love Harrison, Anderson, Emerson, and Ellison. Thoreau – Henry David Thoreau is remembered as a writer, but also a philosopher and naturalist. Like Bronte, the vowel ending of this name helps it sound especially distinctive in the middle spot. Fellow Transcendentalist Ralph Waldo Emerson sports another great surname – but in 2017, Emerson might feel more like an on-trend Em- name that a literary pick. Twain – One of my new favorites, Twain feels like part-number name (it’s an archaic word for two); part-Americana appellation, and part-unexpected-but-wearable choice. Mark Twain started out life as Samuel Clemens; his pen name came from his time on Mississippi riverboats. Few American writers are as universally recognized, making this name nicely literary. What are your favorite literary middle names? Are there others that belong on this list? Angelou! Yes – one of my favorites. How did I miss that one?! I’ve always liked Walden as a middle name, subtle nod to Thoreau. I’m a big reader so of course I have things to add! Keats, Coleridge, Cather, Homer, Langston, Whitman, Didion, Fitzgerald, Tolkien, Tolstoy, Chekhov, Hemingway, Orwell, Dickens, Melville, Borges, Proust, Salinger, Capote, Goethe. There was a boy in a class I subbed for whose first name was Thoreau and sometimes called Thor. I have mixed feelings about it. It’s so cool, especially with that nickname but also a bit pretentious. Definitely a name I won’t forget.